"I will certainly make my position clear soon at the right time and space"
Prithviraj Sukumaran, one of the leading stars of Mollywood, has been a progressive presence in the industry which is steeped in misogyny and patriarchy. He was the only male star to stand by a leading actress who was abducted and sexually assaulted last year—actor Dileep has been accused of hatching the conspiracy. Prithviraj had antagonised all power centres in the industry by supporting her openly and offering her roles in his movies. Prithviraj had also publicly apologised for having mouthed misogynist dialogues in his movies and even vowed to never do it again. Following Dileep's arrest in connection with the case in July last year, the accused actor was expelled from the Association of Malayalam Movie Artists (AMMA). It is known that Prithiviraj was very vocal and wanted Dileep out of the actors's body. In fact, speaking to media, actor-politician K.B. Ganesh Kumar claimed that the veteran actor Mammootty, then general secretary of AMMA, was under pressure from Prithviraj to make the arbitrary decision against Dileep. The Malayalam industry and AMMA have been witnessing a dramatic churn over the last few days; Dileep, out on bail, has been reinstated into AMMA. The decision which drew massive criticism, was taken at the general body meeting (which Prithviraj skipped) right after Mohanlal took over as president of AMMA. In a fresh turn of events, on Wednesday, the Women in Cinema Collective (WCC) announced open war on AMMA. Four actresses—the sexual assault survivor, Rima Kallingal, Remya Nambeesan and Geethu Mohandas—resigned from the organisation. 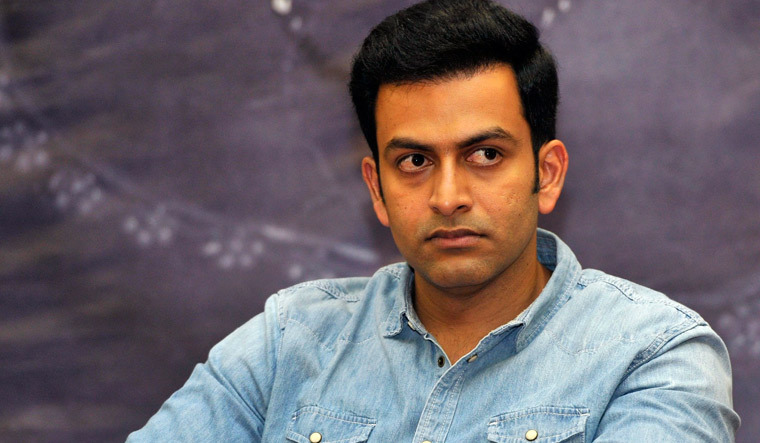 As the situation gathers steam, all eyes are on Prithviraj. The Malayalam film industry is witnessing a rebellion as four leading female artists have resigned from AMMA protesting against its decision to reinstate Dileep. How do you look at it? I completely understand why Remya, Geethu, Bhavana and Rima resigned from AMMA. I appreciate their courage and applaud the decision. I am with them. There may be people who criticise them but I believe that right or wrong depends on one's perception. It was one of the saddest incidents in my life. I am yet to recover from the pain that it caused. She is still a very close friend of mine and I respect her immensely for the courage that she has shown. It was easier for her to keep silent or even to move on. But the fact that she did not succumb to any pressure and decided to fight makes her so special. Her fight is not just for herself but for the entire women in the industry and even outside it. I certainly believe her case is a turning point in the Malayalam film industry. Now that AMMA is split between patriarchal forces and progressive ones, why are you silent? I am not someone who will keep silent if I have to say something. I will certainly make my position clear soon at the right time and space. You did not attend the AMMA meeting which decided to take Dileep back. Was it deliberately done? It is true that I did not attend the meeting. But that happened because I was busy with some professional commitments as my film with Anjali Menon is getting ready for release. Actor-turned MLA Ganesh Kumar had said that you went out of your way to 'fix' Dileep and that you forced other actors in AMMA to suspend him. He also said that you have a personal score to settle with Dileep. Ganesh Kumar is someone who has the liberty to say anything. Not that I care about what he says but it is wrong to say that I was instrumental in expelling Dileep. I do not want that credit. The decision to expel Dileep was taken jointly by AMMA. Each and every member of AMMA was contacted. Director Aashiq Abu has recently said in an interview that AMMA acts like a mafia. Do you agree? I believe that AMMA is an organisation which can do wonders to the film industry if it decides so. Though I am also a member of AMMA, I have never been actively part of its activities. So I am also to be blamed. But one must also admit that AMMA has done some commendable job in helping needy and ailing actors. Will you ever act with Dileep? I have not been offered any film with Dileep yet. I will take a call on it as and when it happens.